Reviewz & Newz is helping to promote this giveaway for a BABY BULLET! Everybody! 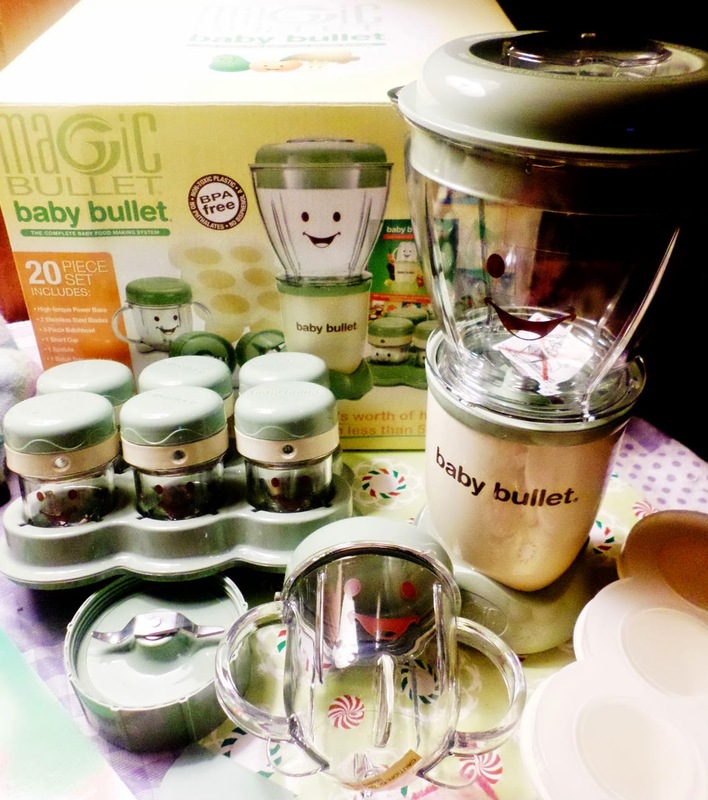 Gather around and meet the Magic Bullet: Baby Bullet - the simplest, easiest and most convenient way to make your own baby-food, from scratch, at home, just the way your baby is going to love it and with all the goodness and nutrition he or she is going to need! For as long as I can remember, I have cooked from scratch and I love to feed my children good, healthier foods without any of the added sugars, sweeteners or other products that just simply do not have to be there and I have always mashed and smashed and smoothed the hard way - though have managed to get the job done! The Baby Bullet really takes out all of the stress that goes along with the baby-food-mashing Olympics, though, with its 2 stainless steel blades, high-torque power base, 3 piece batch bowl and storage and mixing accessories! 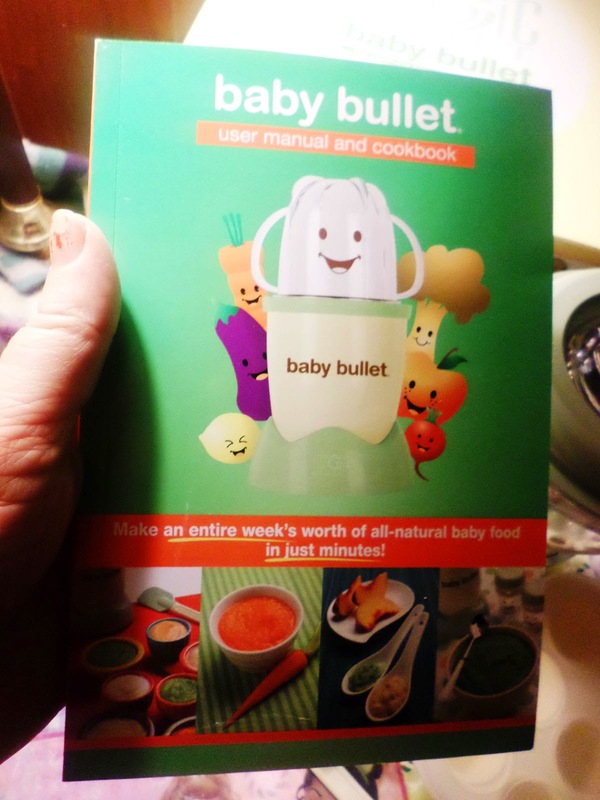 To make life even easier, the Magic Bullet: Baby Bullet comes with a guide full of recipe ideas for baby and includes goodies from a simple fruit or veg for babies eating for the first time, through to those eating mixed, thicker or a little more complex varieties as they grow! The Baby Bullet really does take you through the first stages of baby-feeding and lasts beyond! You can always make apple sauces, blends, smoothies, even ice lollies from fruit and veggies and none of the added stabilizers or unnecessary sugars! Great! I personally LOVE apple and raspberry sauce and my children can never have enough! Making a soup is easy with the Baby Bullet and anything I am making for myself, I can put into the Baby Bullet and have it ready to go for little mouths with the push of a button! 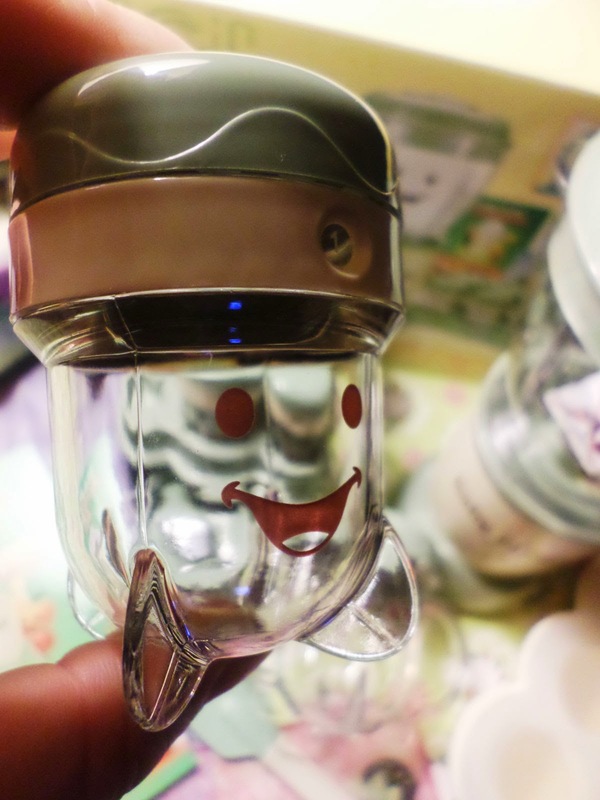 I am actually thoroughly impressed with this cute little contraption and you can't help but smile seeing that big grin staring back at you every time you whip up a batch of goodness for the kids! The Baby Bullet actually comes with a storage tray and storage cups, which are just the perfect size for babies to toddlers and make a great way to treat yourself without going overboard, too! Make a weeks worth of meals in less than 5 minutes, which is just what you want when planning with a house full! I know I can cook up some goodness, throw it in the Baby Bullet and freeze it down ready to go! My children LOVE the cute cups and are happy to reach for an apple sauce in a smiley cup then something that isn't perhaps so great for them! I love that I can wash the entire set out and save on trash and recycling with this set and there are just so many bonuses to making your own food, period. I really wish The Baby Bullet had been available when my older children were babies, but delighted that I have been able to try one out now! It is just the perfect size to make the perfect children's portions and will keep me going back for more as I learn new recipes and goodies that I still want to try! I would definitely recommend giving one a try if cooking for your little one is something that you have been thinking about - I think the Baby Bullet is a really good start! It doesn't take up very much space in your kitchen, either and so you can always have it ready to go! If you would like to find out more about The Baby Bullet, you can find them on Twitter, Facebook and over at their blog, with other outlets such as Pinterest and Instagram to keep you in touch, which you can also find in our giveaway form! The good folk behind The Baby Bullet would love for you to try one out for yourself and is letting us give away ONE Baby Bullet set to ONE lucky winner!! All you have to do, to be in with a chance to win is to reside in the U.S.A, be 18 years or older and enter via the rafflecopter, below! 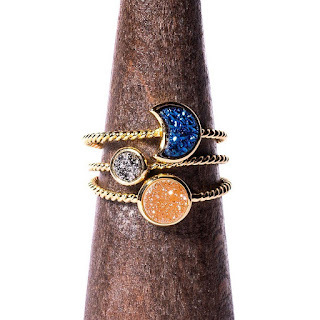 This giveaway will run from 1/21/15 and end on 2/4/15! The giveaway winner will be notified via email within 24 hours of giveaway ending and will have 48 hours to claim their prize! If no correspondence has been received by the deadline then all prizes are forfeit and a new winner is chosen until the prize is claimed! Note: No participating bloggers are in any way, shape or form, responsible for this review or giveaway. Prize fulfillment falls to the company sponsoring the giveaway and all views within the review are those of the original reviewer, Mom's Gone Bronson. Your views may differ! Thank you!